April is Oral Cancer Awareness Month. With close to 53,000 Americans being diagnosed with oral or oropharyngeal cancer this year, early detection is extremely important. While we offer a complimentary oral screening at every appointment, performing an occasion self-examination is crucial. Below you will see the steps to take in order to perform an oral cancer self-examination. For this, you will need a piece of gauze and a wall mirror. It’s important to recognize the normal healthy condition of your own mouth so that you can detect abnormal conditions and report anything unusual to a dental or a medical specialist. 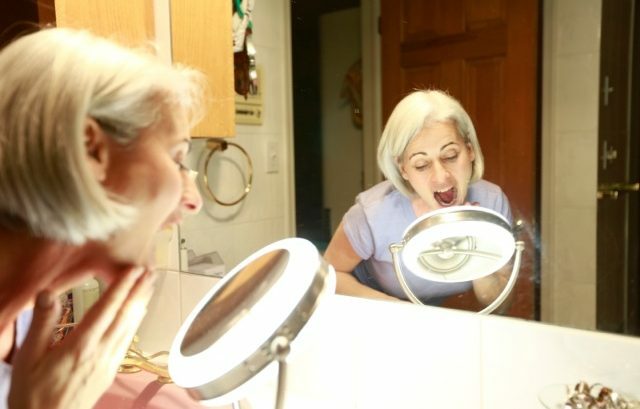 Look at yourself in the mirror – both sides of your face and neck should look the same. Look at the skin on your neck and face for any changes in color, moles that have changed, lumps or sores. Feel both sides of your neck gently with your fingertips to help detect lumps, bumps and sore spots. Gently place your finger over your “Adam’s Apple” and swallow. It should move up and down, not to the side. Report any hoarseness that doesn’t clear up within two weeks. Remove any dentures or appliances from your mouth. Check the inside of your mouth first by using a flashlight, then by putting the small mirror in your mouth, if you are able to do this. Check the roof of your mouth for changes in color or lumps. With your index finger, gently press the roof of your mouth to feel for changes. Examine the floor of your mouth and feel it with your index finger. Remember, you are looking for color changes, swelling and changes in shape. With a piece of gauze between your finger and thumb, pull out your tongue and examine all sides – feel your tongue with your fingers. Look at your gums for color change, lumps, bumps or tenderness. Report any sores that have not healed after 14 days. Pull your upper lip up and then your lower lip down and check. Gently squeeze your lips as well as your cheeks with your index finger and thumb to feel for lumps, bumps or tenderness. Report any pain, loss of feeling or any areas that bleed without cause. Gently run your index finger over your upper and lower gums. If you find anything unusual or suspicious, report your findings to us! February is one of our favorite months of the. year, because it is National Children’s Dental Health Month! It is especially important to us as we discuss the relevance of dental health with the children in our community.We visit over 4000 elementary students in Northwest Ohio and Southeast Michigan’s public and parochial schools. 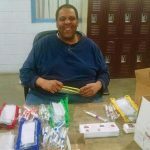 Last November our entire team toured Lott Industries and commissioned their team to put together the toothbrush packets we give to the children in the schools. 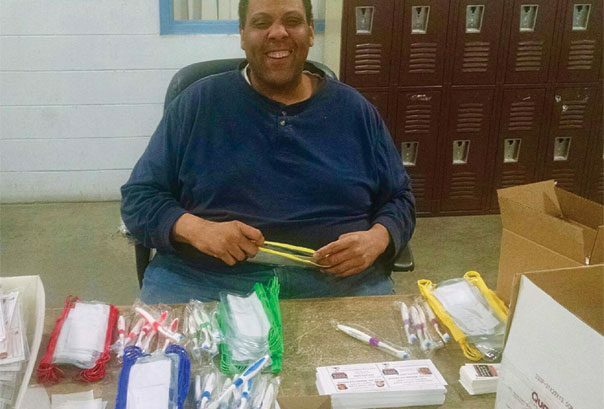 Chris (in the photo above) was excited to be the “Head Man in Charge” of this special project! You would assume children’s teeth thousands of years ago were full of decay because of the lack to proper dental care. However, the American Dental Association thinks otherwise! They say tooth decay was likely not that common, because sugar was not a part of their diet. Nearly half of 8 year olds have visible signs of decay on their teeth. The good news is, cavities are preventable! Dental sealants added to the chewing surfaces of the back teeth prevent 80% of cavities! Although bones or other parts of the body can heal and self-repair, teeth cannot. This is why preventative dental care and receiving proper dental work is crucial to protect your teeth from further damage. Now is the time to start thinking about New Year’s Resolutions. Many often think about their health at this time, vowing to change their diet or exercise routine. But what about your dental health? Here are some things to consider to help your stubborn partner go to that dental appointment they are hesitant to keep. Have them take the kids to the doctor, and schedule their checkup at the same time. Sometimes it’s easier to get him to see the doctor when it’s a family thing, rather than an individual thing. If you have kids, try booking their checkups all at the same time. Even book your own, too, and all go together! Don’t have kids, or does your husband not want to take time out to take the kids to the doctor? Then how about encouraging him to make a pact with a friend? Maybe you have a couple that you both like where the guy is also a little shy about going for a checkup. Guys will often step up the plate when they feel like it’s a competition or they don’t want to lose face. Challenge the husbands to make a pact! It’s often easier to do things if there’s a set routine to them. So if he has difficulty getting up the gumption to book himself a doctor’s visit, just make it a routine that you do all your checkups at the same time, every year–say around his birthday. Then it becomes less about having to make a decision each time, and more about a habit you’ve developed. It’s always easier to do habits than make decisions! Misery loves company! And often we’re blind to our own faults, too. You may be bugging him for not going to the doctor, but maybe you haven’t had that difficult conversation with your sister that he knows is needed. Maybe you haven’t agreed to sit down and look at the budget or deal with your credit cards. Or maybe you haven’t gone to the dentist! So how about making a bargain? “Honey, if you go to the doctor, I’ll agree to…” And this time let him fill in the blank with something you’ve been procrastinating about! It’s the most sugarful time of the year! With Halloween, Thanksgiving and Christmas, the last 10 weeks of the year are some of the sweetest as far as sugar is concerned! There will be a lot of opportunity to eat tasty treats in the next few weeks, and we want to make sure you are prepared! 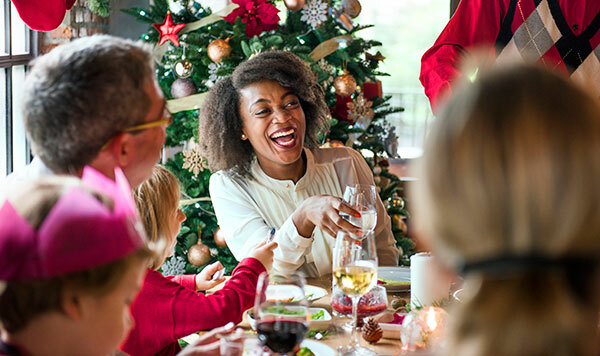 Remember these tips to maximize your oral health as you celebrate the holidays. As important as we know brushing twice per day, according to the American Dental Association, only 46% of Americans are doing it – and the percent for flossing is even worse. Brushing helps eliminate those sugary foods we will be eating this Christmas, as well as reduce acid that cause teeth erosion. How you brush is just as important. Be sure to choose toothpaste that contains fluoride and a toothbrush with soft bristles to avoid gum irritation. Brush your teeth softly with short strokes for at least two minutes, and avoid brushing too soft or too hard. And don’t forget to floss! Flossing helps get rid of plaque and food between your teeth brushing may miss. While the holiday beverages are typically hot chocolate and egg nog, both of these beverages are full of sugar and should be limited. Water is the best beverage for your oral and overall health. If you are not able to eliminate these tasty holiday beverages, it would help to include a glass of water. This can help eliminate some of the negative effects of sticky and acidic foods and beverages you will be eating during the holidays. There are ways to satisfy your holiday sweet tooth besides diving into the Snickerdoodles. Eating natural sugars like fresh fruit not only contains more healthy fiber, but it’s the best choice for your teeth. And sometimes, all your body is craving is water. Sugar cravings can often be confused for thirst, so try to grab a glass a water before eating the candy cane! It’s almost December and you haven’t visited the dentist since last year? It’s not too late to schedule a checkup for this year – and it’s important that you do. In fact, we recommend at least two visits to the dentist a year. 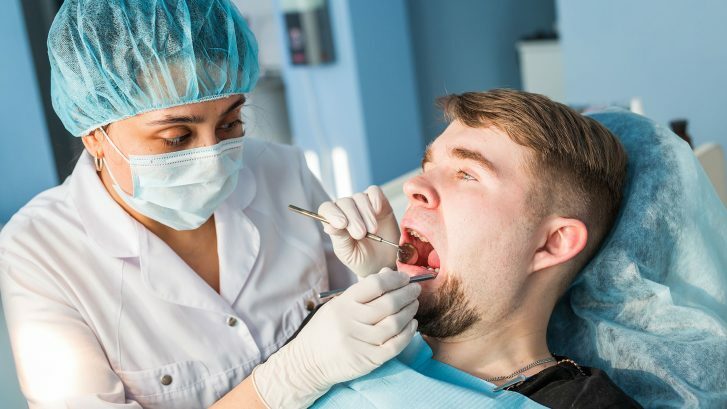 It’s important to keep up with regular visits because we will not only give your teeth a proper teeth cleaning, we will evaluate the health of your gums, take x-rays, and check for cavities and other issues. To request an appointment, click here or call 419-475-3494. 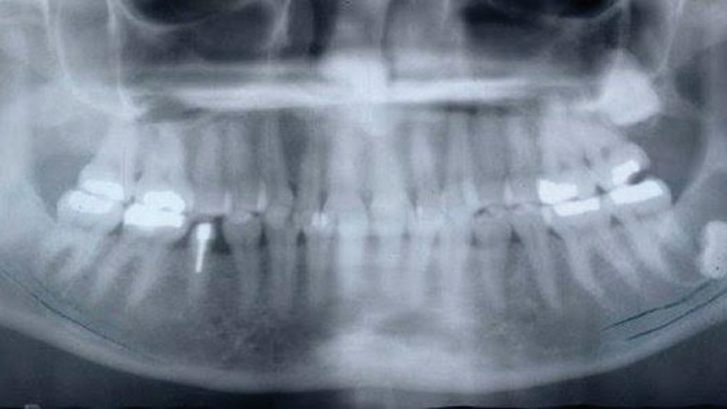 Are Panoramic X-Rays Important to Your Oral Health? Yes, and it’s not just for a healthy smile. When you get x-rays taken at a typical dental appointment, these dental x-rays give the dentist a close up of view of your teeth. With panoramic x-rays, they capture the entire mouth in one image, allowing Drs. Nicholas and Baburek to see all of the teeth in your mouth and multiple bones of the head and neck. Recommended every 3-5 years, a panoramic x-ray can diagnose more than regular dental concerns, like cavities or gum disease. Because these x-rays show the bones of the head and neck, we can see other important issues that may be occurring in the surrounding tissue and jaw bones such as tumors, growths, or cancer. Here are four reasons why panoramic x-rays are important to your overall health. A panoramic x-ray allows us view your head, neck, and jaw, and how they work together as a whole, which means we can more easily identify abnormalities. Because a panoramic x-ray offers a comprehensive view of your entire mouth, we can spot dental issues at their onset with the view of the entire mouth. Because it often isn’t caught in its early stages, oral cancer has a high mortality rate. With a panoramic x-ray, we can improve the likelihood of identifying oral cancer early on when it’s easiest to treat. Since panoramic x-rays are taken every 3-5 years, it allows us to see changes that occur in your mouth over time. Depending on age, we look at panoramic x-rays for different reasons. For children and teenagers, it’s to determine the need for orthodontic care, along with looking at wisdom teeth. With adults, panoramic x-rays spot early warning signs of oral cancer, identify TMJ issues, and view cysts, growths, and abnormalities in greater detail. It’s back to school time, which means lunch packing season has begun! Your child’s oral health is extremely important, and to prevent cavities and maintain good oral health, your diet — what you eat and how often you eat — are important factors. The minute you eat certain foods, bacteria in the mouth convert sugars and carbohydrates from the foods you eat to acids. Acids begin to attack the enamel on teeth, starting the decay process. There are plenty of foods that can damage your teeth, but did you know that there are foods that actually promote good oral health? 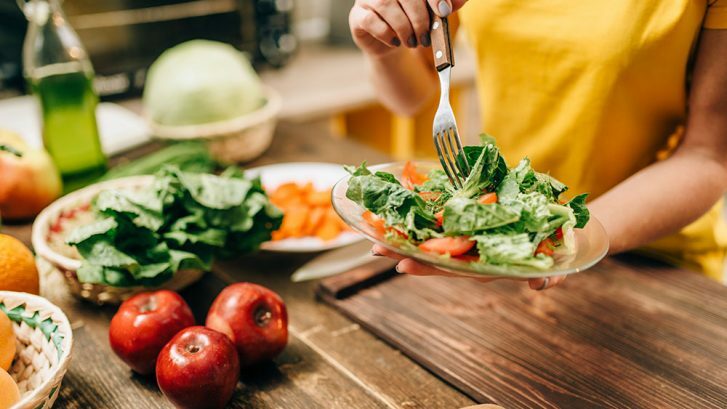 Although you’re already flossing and brushing regularly, incorporating the right foods into your diet can strengthen teeth and keep them in great shape. When feeding you and your family, consider these foods to consume and avoid when improving your oral health. The best food choices for the health of your mouth include cheeses, chicken or other meats, nuts, and milk. These foods are thought to protect tooth enamel by providing the calcium and phosphorus needed to redeposit tooth enamel after being removed by acids. Dairy products are full of calcium and other minerals that promote oral wellness, but it’s important to eat the right dairy products. When choosing milk, always skip conventional products that are full of hormones, antibiotics, and other chemicals. Other food choices include crunchy fruits such as apples and pears. Because apples are high in water, eating them stimulates saliva production, which helps rid your mouth of bacteria and stray food particles. The fiber found in apples also stimulates the gums and acts as a mild astringent for your teeth, gently brightening them. If you want to consume acidic foods, such as citrus fruits and tomatoes, it will not cause harm as long as they are eaten as part of a larger meal to minimize their acid. Because they’re high in vitamins and minerals while being low in calories, leafy greens—like kale, spinach, Swiss chard and collard greens—are a fool-proof way to keep teeth healthy. The antioxidants and vitamins found in these powerful veggies combat cavities while also serving as a sneaky source of calcium to keep teeth strong. Poor food choices include candy — such as lollipops, hard candies, and mints — cookies, cakes, pies, breads, muffins, potato chips, pretzels, french fries, bananas, raisins, and other dried fruits. These foods contain large amounts of sugar and/or can stick to teeth, providing a fuel source for bacteria. In addition, cough drops should be used only when necessary as they, like sugary candy, contribute to tooth decay. Limit your consumption of sugar-containing drinks, including soft drinks, lemonade, and coffee or tea with added sugar. Also, avoid day-long sipping of sugar-containing drinks — day-long sipping exposes your teeth to constant sugar and, in turn, constant decay-causing acids. Providing dental care for your child may start earlier then you thought. 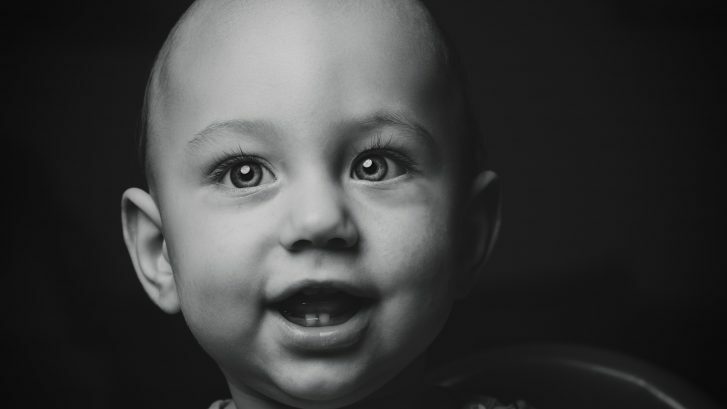 Even though you can’t see your child’s teeth when they are babies, they actually begin to form in the second trimester. Many parents have questions regarding their child’s dental care, such as how early should my child be flossing? How much toothpaste should my child be using? How old should they be before we see the children’s dentist? Here are 4 items to consider when providing dental care for your child. Even though you cannot see the teeth, protecting your baby’s gums before teething occurs will help lay the foundation to a healthy mouth. Before they have teeth to brush, take a damp washcloth over your child’s gums to eliminate bacteria that may be harmful. When you child’s teeth begin to grow in, brush them with an infant toothbrush using water and fluoride toothpaste that carries the American Dental Association’s (ADA) seal of acceptance. Only a tiny amount is needed, about the size of a grain of rice. There isn’t a magic age to start flossing your baby’s teeth, once the teeth begin to touch is the appropriate way of knowing it’s time. At approximately 2 years old, your child should begin spitting while brushing. Most children are tempted to swallow the toothpaste rather than spitting it out because they are used to swallowing their food and drink, and most children’s toothpaste have an appealing taste to make brushing easier. To avoid this, do not give your child water to swish the toothpaste before they spit, as this makes swallowing toothpaste more likely to occur. We recommend supervising your child as they brush their teeth until they are about 8 years old to ensure they are brushing properly and to help prevent your child from swallowing toothpaste. Even if you are practicing ideal dental care for your child, what you are putting into their mouth plays a factor into their oral health. Babies can develop tooth decay if you do not practice healthy feeding habits, such as giving your baby a bottle to sleep with at night. While this may make your job as a parent easier, the sugars from the juice or milk remain on the baby’s teeth for hours. When this happens, the sugars can eat away at the enamel, creating pitted, discolored front teeth and sometimes even cavities from a condition called bottle mouth. Sucking on a bottle can also be damaging to a child’s teeth, where babies as young as 6 months are recommended to drink from a sippy cup. To prevent your child from having their bottle too much bottle time, set specific times of the day where your child can have access to their bottle. The American Dental Association recommends children visit a dentist by the time they turn 1 years old. During your child’s visit to the dentist, they will explain proper brushing and flossing techniques and conduct a modified exam that is catered to children. If your child display any risk for cavities or other problems, the dentist may start applying topical fluoride even before all teeth come in. Benefits of fluoride include harding the tooth enamel, and warding off common childhood oral diseases such as cavities. We recommend booking appointments in advance on a consistent basis. Request an appointment by filling out the form here or call us at 419.475.3494.